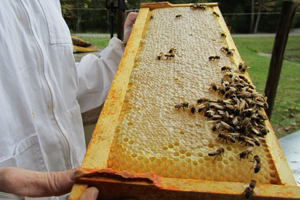 We have a resource list of trusted beekeepers from across the region. Just give us a call or email and we will get you in contact with a beekeeper in your area happy to come out and catch the swarm. 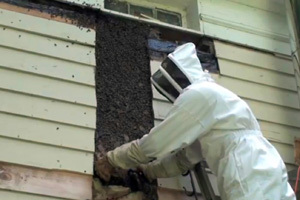 There are many beekeepers that offer the service of removing honeybees out of homes, barns and trees. We use many of these queen bees in our own mating program, so give us a call or email and we’ll see if we can help you out or find someone who can. We have an extraction kit you can rent for $45 a day. 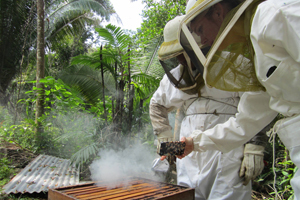 Extracting your own honey can be a great time with family and friends. We’ll go over the basic steps for extraction and then all you’ll need is either your own uncapping fork or knife. We make hive calls. Need help figuring out what exactly is going on in your hives? 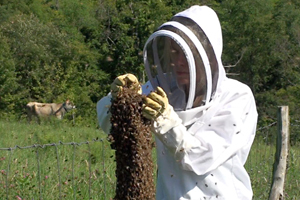 We can assess hive conditions, disease, potential pathogens and generally what the heck is going on. Give a call or email and we’ll let you know current costs for a hive visit.